is super alarming. And I think a permanent solution should be proffered to it. fix back no matter when or how it was bricked. stubborn and method two doesn’t work, then try the next method below. 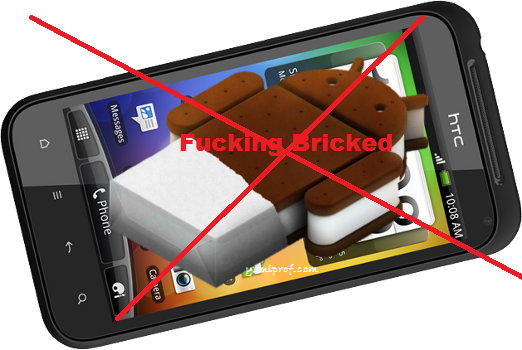 bricked or else you are wasting your time reading this method. phone as your bricked one (via MTK tools backup) or downloadboot.img file for your Tecno phone. flash a new stock or custom ROM. That is it friends. Or are you still having problem with it? Post it here let’s solve it together. wooow prof u r always d bomb. Hello Sir, my Tecno d1 device got bricked late last night, pls I've followed these steps, but PdaNet fails to recognize the device's USB. What can i Do pls? Thanks! But the USB Cable works perfectly fine sir. then yu should try Glo or Etisalat. Since it gives you 3gb for bis subscription. Hello my friend, it's so unfortunate that your Tab is rare to find in d market; however, every China Tab do come with same ROM. Please click on the link below and carefully read d tutorial on dat specific rom. please Gurus i need the stock rom for infinix surf spice x403 as i soft bricked it when trying to install a new font. all efforts to flash it proved abortive. i thank you all for your quick response. Hello Prof, I could only get the pdanet file, one of the other files has been deleted and the other one is waiting for some sort of approval. I need to unbrick my tecno p5. The first two methods haven't worked..I am hoping the third one will. please could you give me a link to download the files that are still pending? please i need a rom for my tecno s9 i have already rroted it nd done d oder proccedurez buh i dont hav any custom or stock rom … pls send me any link of s9 custom rom..
Pls the PdaNet is requesting that my phone be in debugging mode, but it's already bricked and I can't get past the logo. How do I turn the debugging mode in or is there any other method?. Oga as your name suits you(Yomiprof. ),please my oppson d1 has been bricked and its not turning on even when charging,it won't appear any charging icon,and it didn't also connected when USB is been pluged to it….please and please,kindly help me with this,how can i get out of this pee? have a pre_rooted bricked TECNO L6 phone. Mtk Droid tools is not detecting it, nor flash tool. I have tried the above method. And all other methods in other sites to no avail. The current condition of the phone is that it boots and stays on the experience smart life logo. Won't boot to recovery mode. .